Free shipping. Buy direct from HP. 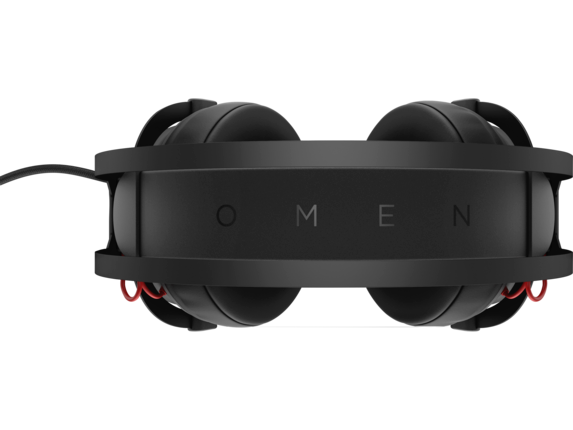 See customer reviews and comparisons for the OMEN by HP Headset 800. Upgrades and savings on select products. When the difference between the kill-of-the-century and staring down a kill-cam is one critical move away, communication is crucial. With comfort and clarity under control, you’re fully immersed in your environment, and able to communicate with your team as if they’re right there with you. With a large diameter, the 53mm driver produces each and every footstep with amazing clarity. 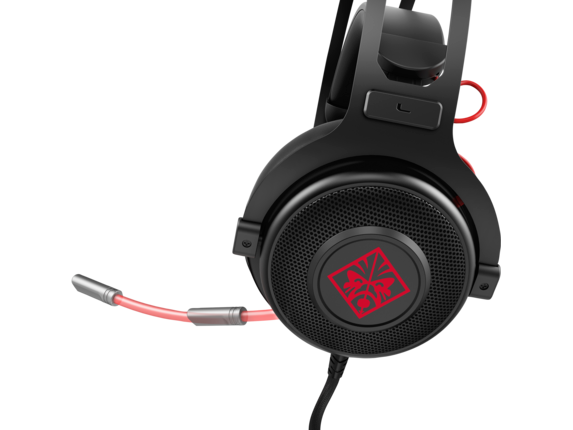 Select the custom DTS Headphone:X®  profile built into most OMEN PCs for a heightened surround sound experience. Lightweight suspension headband evenly distributes its weight for incredible comfort during extended gameplay. 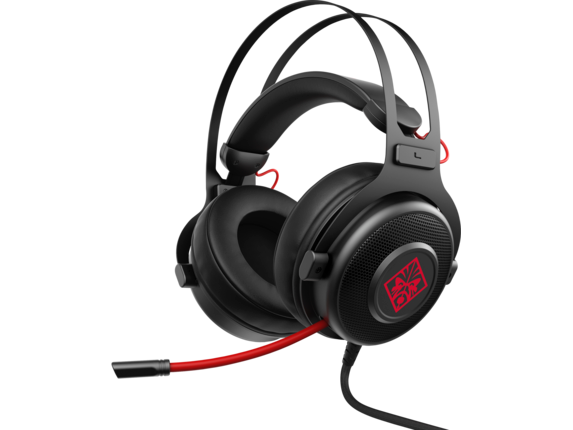 Select the custom DTS Headphone:X® profile built into most OMEN PCs for a heightened surround sound experience. After assembling the best gear and the best team for the job, you need the right tool to keep yourself informed and keep in touch with everyone seamlessly. Stay up to the minute with every variable or help cope with everyone’s share of inevitable surprises using our comfortable, noise cancelling OMEN gaming headset. When you’re in the thick of things and the clock is running down, it’s the small details—and every source of input—that can be critical. If you don’t have everything you need at the outset, even the best laid plan can be smashed in a burst of street noise or fall apart when you can’t correctly trace where a sound is coming from. Teamwork is everything, so start off every mission with what you need to stay immersed. Never be caught off guard for neglecting a key resource, which is the increasingly critical sonic dimension to gaming. With the OMEN gaming headset, you can push the limits of your coordination and squeeze out every advantage during a long session. The headset’s high diameter 53mm driver unit ensures an easy segue from genre to genre, whether you’re sifting through com chatter or scanning for hidden bits of direction inside dense ambience and environmental sounds. That’s an order of magnitude bigger than the driver in standard earphones, so there’s virtually no comparison. 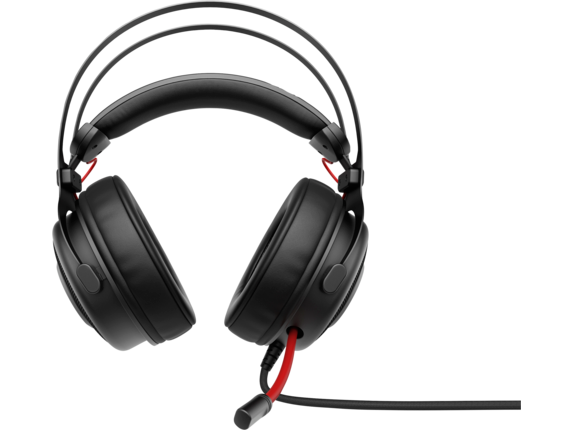 Even better, you’ll be playing with a noise cancelling headset, which boasts an over-ear design that thoroughly filters out extraneous noise with ease. Play the way you want to play, without missing a thing or falling prey to unwanted interruptions. You know we’ve got you covered! Still think you might need a way to go deeper? Want to leave the everyday behind and feel the full action-packed texture of each adventure? Instantly up the stats on your surround sound by selecting the DTS Headphone:X profile that comes preloaded on most OMEN by HP PCs. You’ve already put the prep time in, so it’s time to get the most out of your custom rig. A distributed suspension and built-in lightweight headband also means the OMEN gaming headset feels as light as it should. Weighing in at just under a pound, it also won’t interfere with most eyeglasses. Further enhanced with the addition of a retractable gaming microphone and 3.5mm to single 4 pole adapter, you’ll be ready to go in a flash.